And here finally the preliminary info of the all new DeVore Fidelity Orangutan Reference speakers. It is a four box design with two of the cabinets (one per channel) handling the low bass. 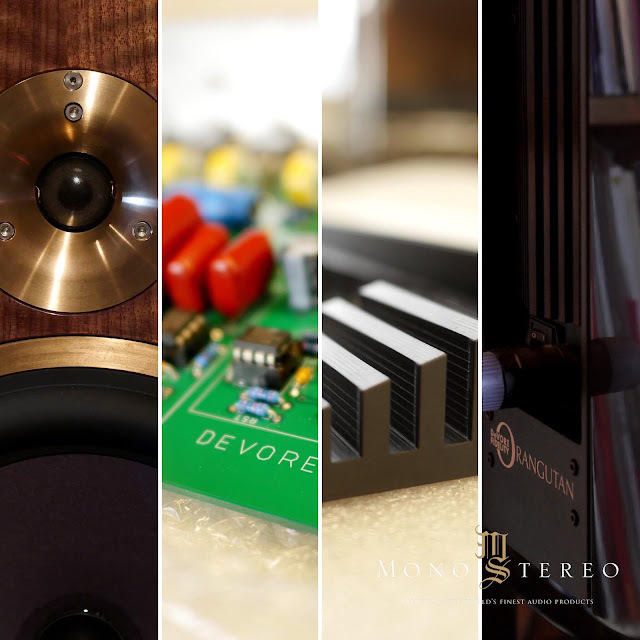 The two main cabinets feature new custom-made drivers with rare earth magnets and cast bronze chassis. Each low bass cabinet includes a 10" paper cone bass driver which is actively driven by a 300-watt Class AB amplifier with a linear power supply. It has an all analogue signal path with user adjustable EQ to tailor the low bass response for different installations. The Orangutan Reference will be launched at the forthcoming RMAF in Denver, 5th - 7th October. Thanks Graham!